Though it gets vastly overshadowed by other genres, musical theater remains an important part of the music scene, with composers and performers doing work that’s just as exciting or meaningful as their equivalents in the pop music space. 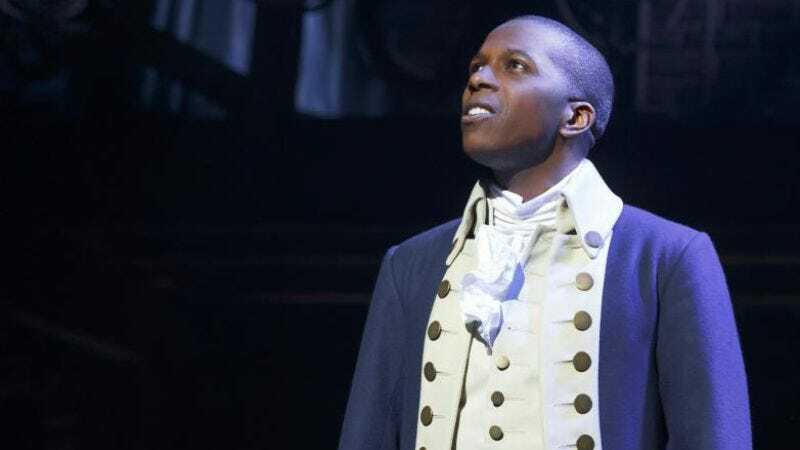 Given how difficult they are to see for those who live far from Broadway, most musicals remain under-heard and under-seen, but every few years a Rent, Les Miserables, or Wicked proves that musical scores can have crossover appeal. The latest cast recording to achieve mainstream success is Lin-Manuel Miranda’s hip-hop musical, Hamilton, which debuted at No. 12 on the Billboard chart and hit No. 1 on the chart of rap albums. Starting from there, here are other songs from the past 20 years of musical theater that deserve to find similar mainstream success. The list is by no means exhaustive, but each of these can easily hold their own against what’s airing on the radio or who is currently packing concert halls.